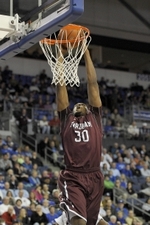 New York Magazine: Hey, Fordham Beat a Team That Beat the National Champion! 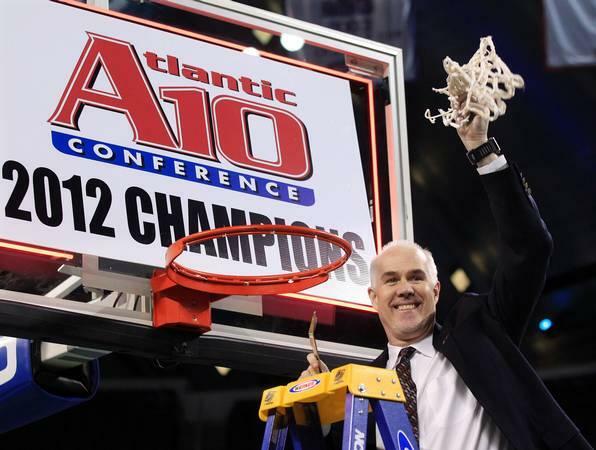 It may not warrant a banner inside the Rose Hill Gym — in fact, this may not be worth celebrating at all, particularly to those who don’t follow Fordham basketball — but it dawned on us last night that new national champion UConn lost this season to a team, St. John’s, that itself lost to Fordham. (Storm that court, kids!) In search of a precedent, we contacted the Elias Sports Bureau and learned that it’s been 28 years since Fordham beat a team that defeated the eventual champion during that same season. On February 10, 1983, the Rams defeated Notre Dame (a team coached by former Fordham coach Digger Phelps). Then, in their very next game, the Irish defeated eventual champion North Carolina State (a team whose roster included future Fordham head coach Dereck Whittenburg). 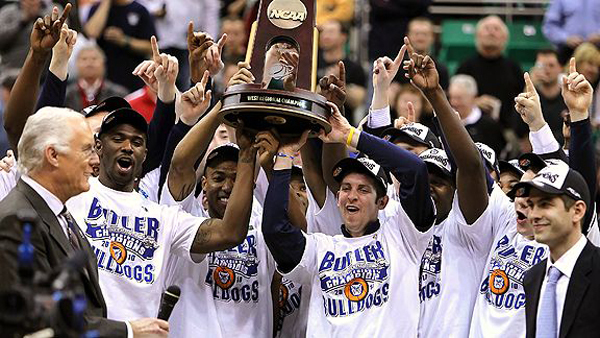 Like we said, not exactly banner-worthy, but when your alma mater’s coming off a 7–21 campaign, the little things help. Now if you’ll excuse us, we’re going to go watch that court-storming video again. 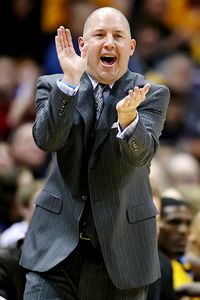 Marquette coach Buzz Williams has signed a seven-year rollover contract extension at $2 million annually. 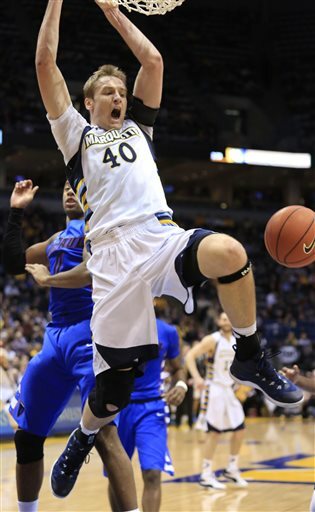 “The new agreement is an acknowledgement of Buzz’s standing as one of the rising stars in collegiate coaching,” Marquette AD Steve Cottingham said. The Golden Eagles advanced to the NCAA Tournament each of Williams’ first three seasons, including a trip to the Sweet 16 in 2010-11. 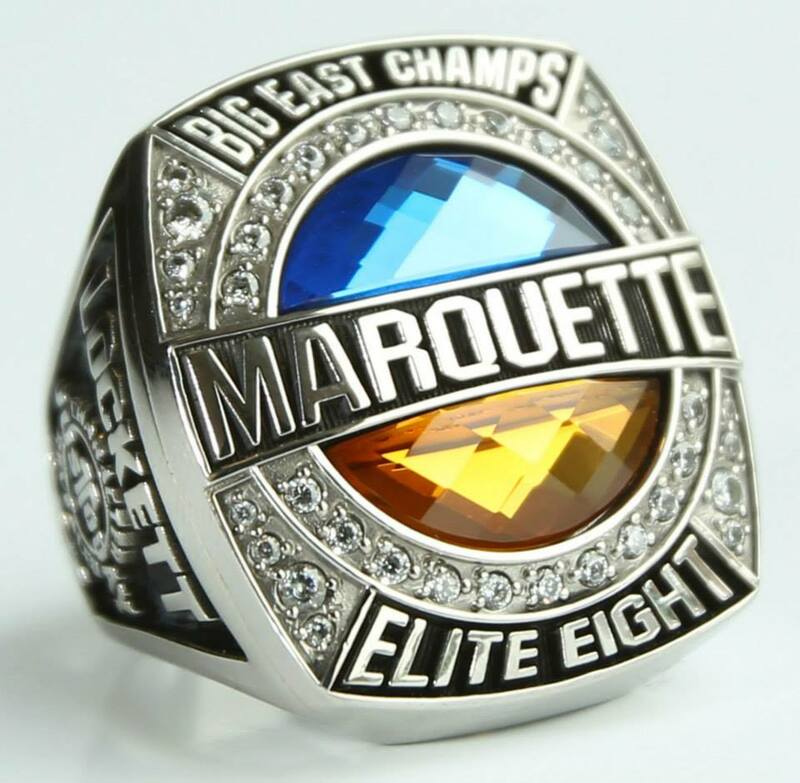 Marquette is 69-37 (.651) overall during his tenure and 32-22 (.593) in Big East Conference competition. “I was given an opportunity beyond my wildest dreams 1086 days ago and my entire family is extremely humbled and grateful by the opportunity to continue this journey,” Williams said. Since taking over, Williams has led Marquette to three straight NCAA tournaments, is 69-37 overall and 32-22 in Big East play.